Caring for your oral health involves more than just your teeth. Your gums are a vital factor in protecting your smile and ensuring overall health. Gum disease is prevalent amongst adults, especially those over thirty. Without general dentistry treatment, it can jeopardize your teeth and put you at higher risk for health issues such as cardiovascular issues and diabetes. Keep your entire mouth healthy by stopping gum disease in its tracks with treatment from Ora Dentistry. Gum disease is an infection of the gum tissue. Poor oral hygiene, smoking, certain health issues and other factors can contribute to the beginning of gum or periodontal disease. Luckily, treatment is available to stop this infection and the effects of this disease. 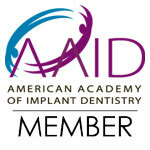 Deep cleanings, medications, home care and other treatments can be used to reverse gum disease and restore oral health. In most cases, gum disease is caused by a buildup of bacteria in the mouth. While regular brushing and flossing can help, there are often areas that are difficult to keep free of bacteria, leading to plaque formation that harden into tartar. This can start the infection of the gums, causing symptoms such as red or inflamed tissue that is sensitive. When the gums are puffy from infection, they can bleed easily when you brush, floss or eat certain foods. If you notice any of these signs or sensitivity in your gums, schedule an appointment for an exam. One of the best ways to prevent and treat gum disease is with regular professional cleanings. Our hygienist can monitor the health of your gums while removing plaque and tartar. If treatment is needed, we can discuss a plan to restore the health of your gums and get you back on the road to good oral health. Contact Ora Dentistry today to schedule your next cleaning and checkup.